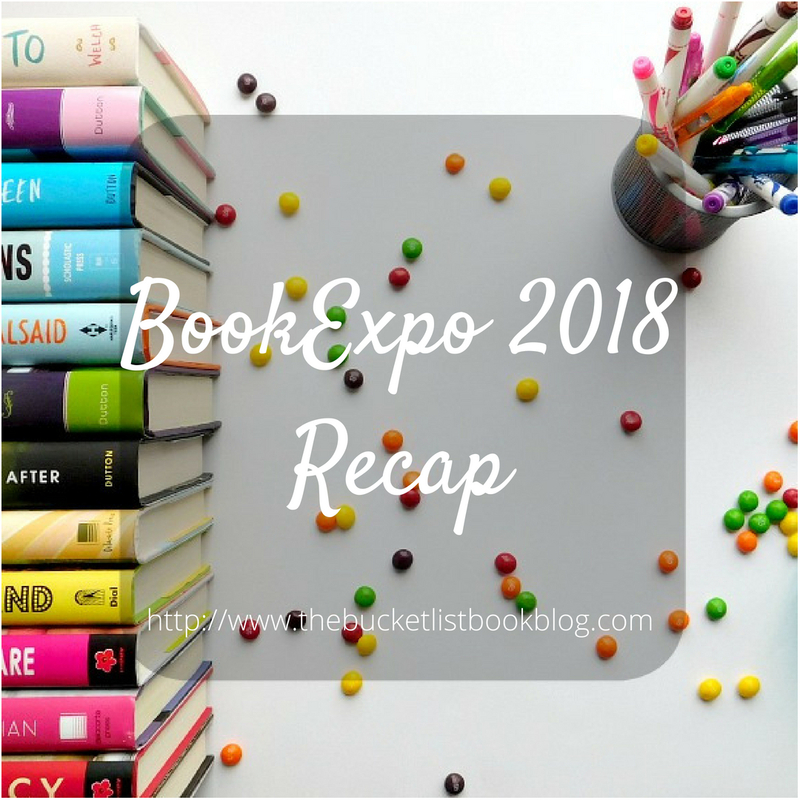 I had such a blast last week as last week was one of the biggest bookish events of the year. 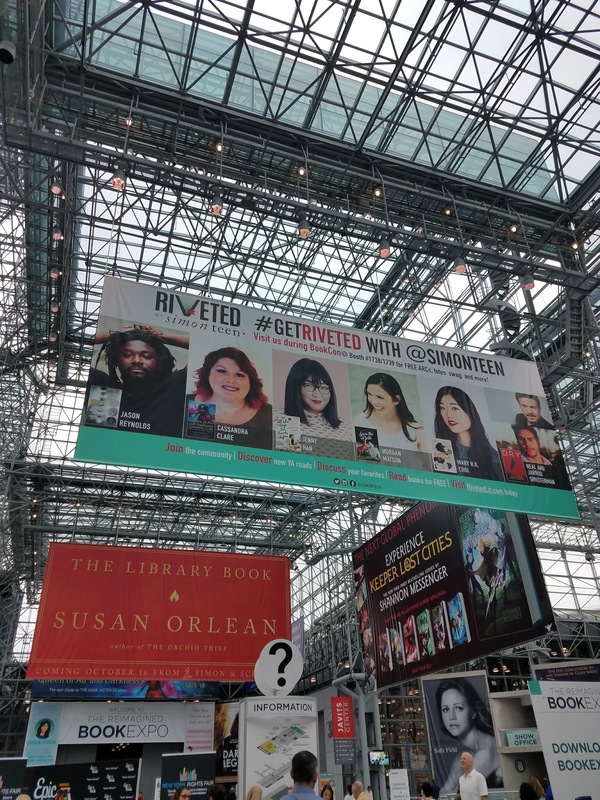 BookExpo, once titled BEA (BookExpo of America), takes place in the Javits Convention Center in New York City every year around the last week of May. 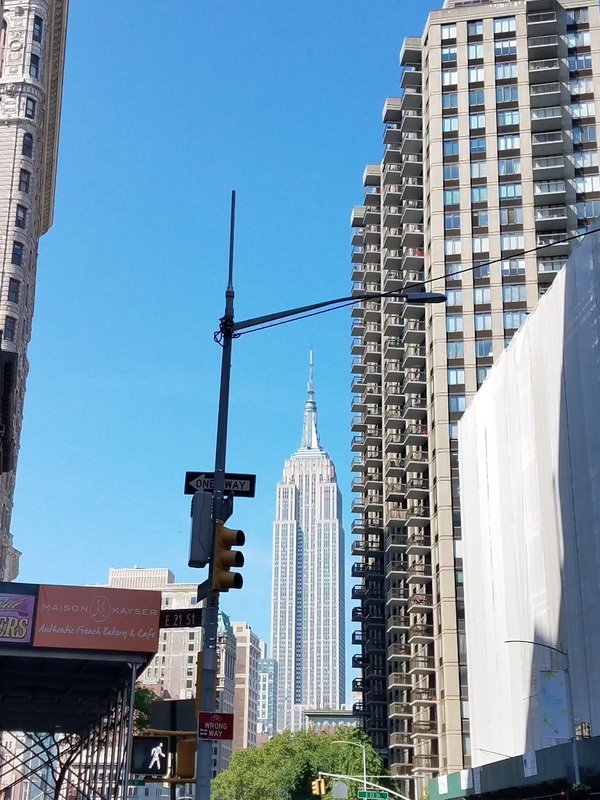 For the entire week, the city comes alive with bookish events, mostly free: signings, meet and greets, and more. 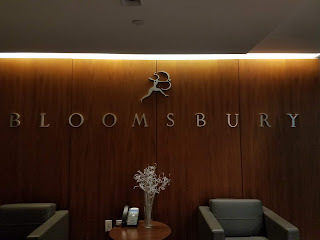 I started the wonderful week off on Tuesday with a small tour of the Bloomsbury Publishing offices. This event was held by Blogbound, which I attended later on that evening. All the people I met at this event were absolutely lovely. The tour was small, about 15 people. 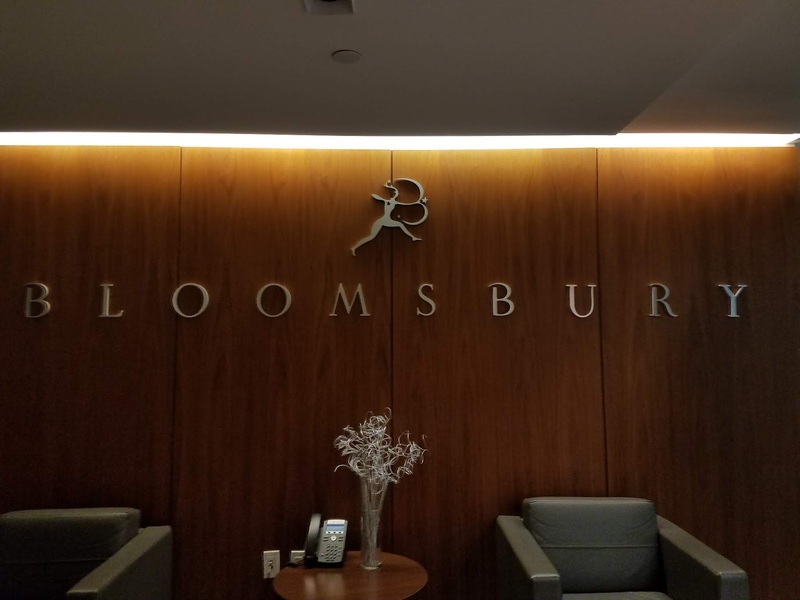 It was amazing to get the chance to see the inside of a publishing house. The floor was an open floor concept office space while the walls were lined with bookshelves. It was magnificent. There was even a small shrine of books by Sarah J. Maas in the middle of the aisle in celebration of her recent release, A Court of Frost and Starlight. The whole place felt like home. 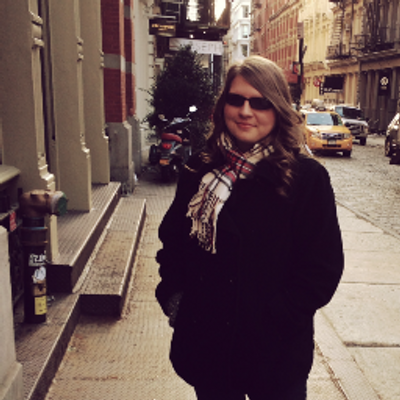 Overall, I had such a great time! I am so grateful that I get to attend such an amazing conference! BookExpo and all the other events that took place last week was truly magical. I can’t wait to read all the books I received, as well as add several more to my never-ending tbr pile. 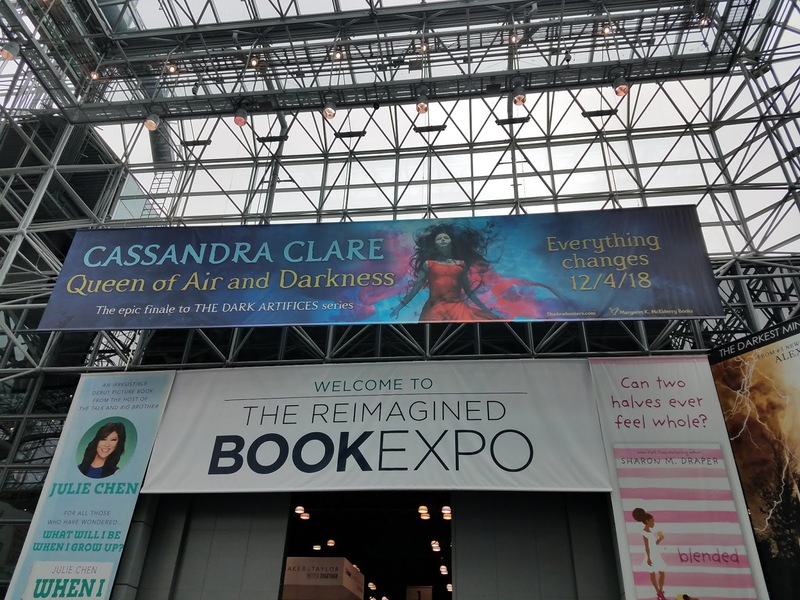 Did you attend BookExpo? How did you like it? Which upcoming book are you most excited for this fall?